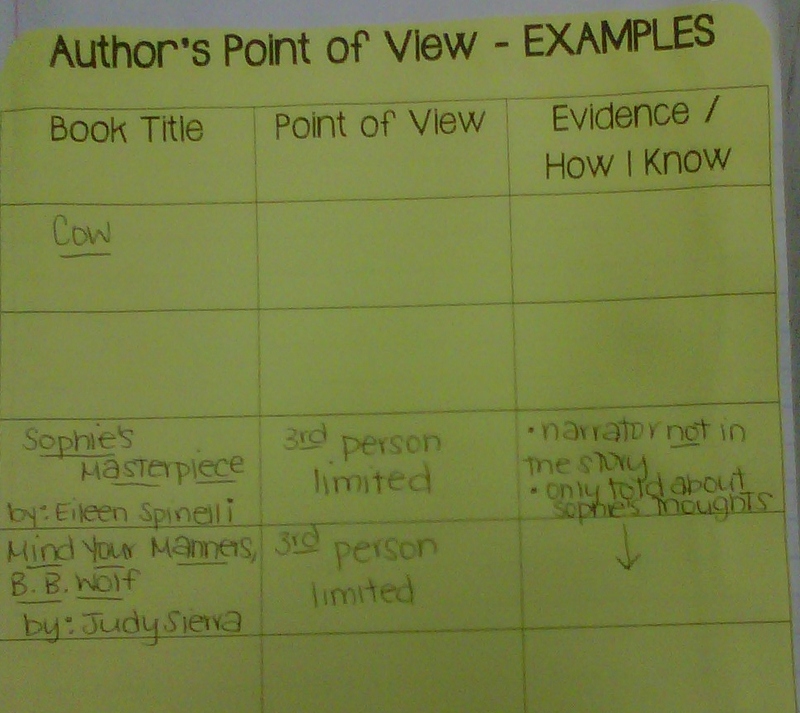 These last few weeks we have been focusing and reviewing author's point of view. 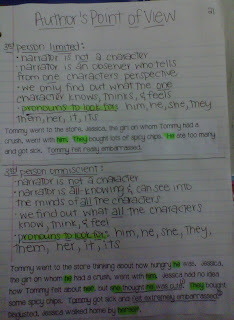 In 5th grade, this is quite a concept to grasp especially 3rd person limited & omniscient. I must say that everything I did with my students was borrowed or purchased except for one thing, which I will put up in my store as a freebie. We started off the week taking notes in our Reading Spirals. 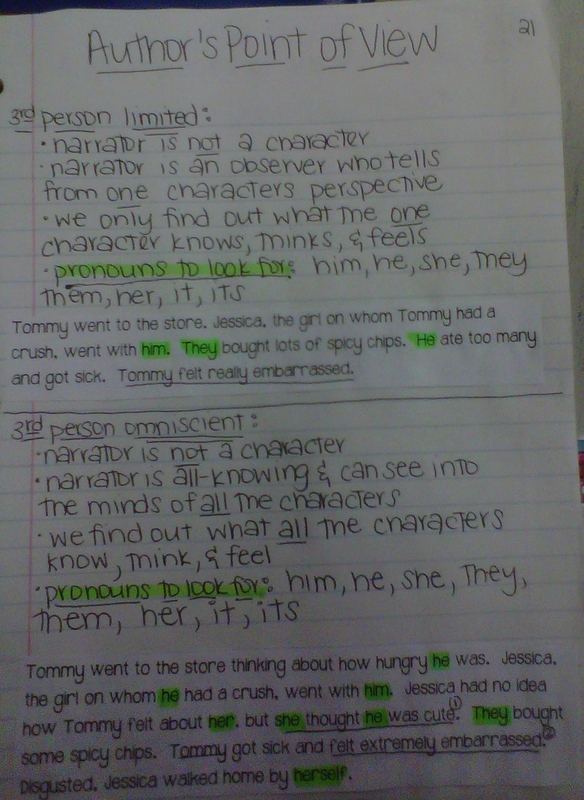 I purchased the Literary Elements Resource from the fabulous Jen Runde and used the chart to help with the note taking. There are tons of other resources in this purchase that I will be using through out the year to review author's point of view. Amazing resource... she is such a talented lady! 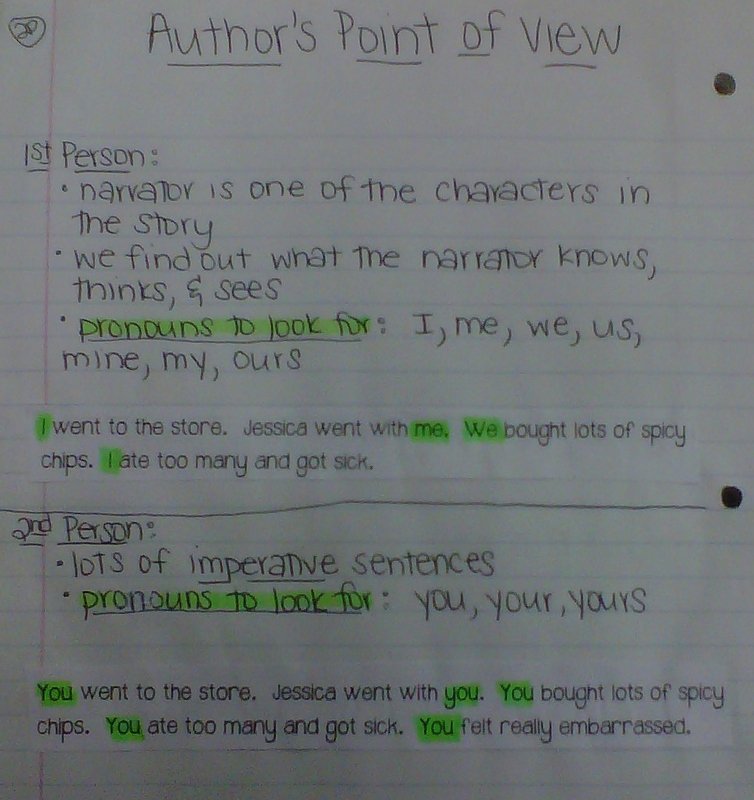 We also glued in our Author's POV chart. 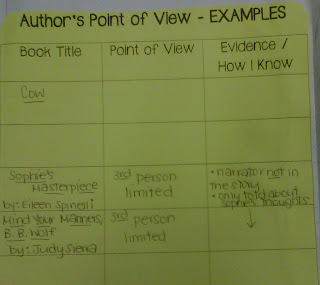 (freebie) We have been reading several books and filling it in. Sorry, I am missing a few entries in mine, but you get the gist. It is VERY hard to find books written in 2nd POV and I found one... Cow by: Malachy Doyle. We also watched the Brainpop video to go with POV. 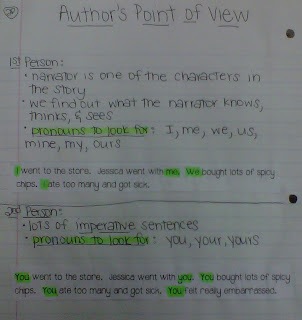 It is located under writing, but it has very good examples and Tim and Moby are just a hoot! Tomorrow we will be discussing homophones and homographs... I know you can't wait for that!